To be the best disposable Medical Device Supplier in the world. 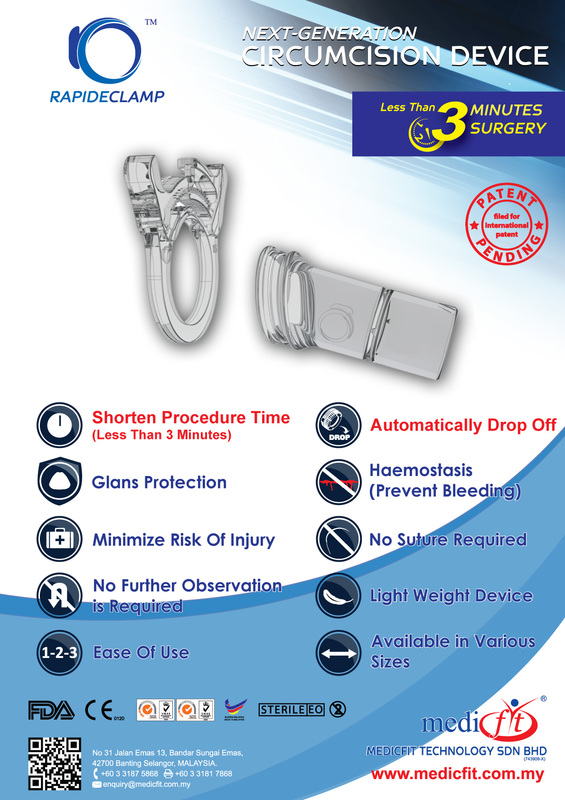 RapideClamp is a revolutionized male circumcision device. Its simple 2 parts design has allowed doctors to perform the surgery faster and safer than ever before. It reduces the time of the surgery to 3 minutes as compare to other traditional circumcision techniques. Patients can return to daily routine immediately after procedure. No sutures is required during the removal of the device. The device comes in various sizes that can be used for infants, children and adults. It is made with medical grade polystyrene to ensure the device complies with the highest safety standards in medical industry. >> Download our brochure here!